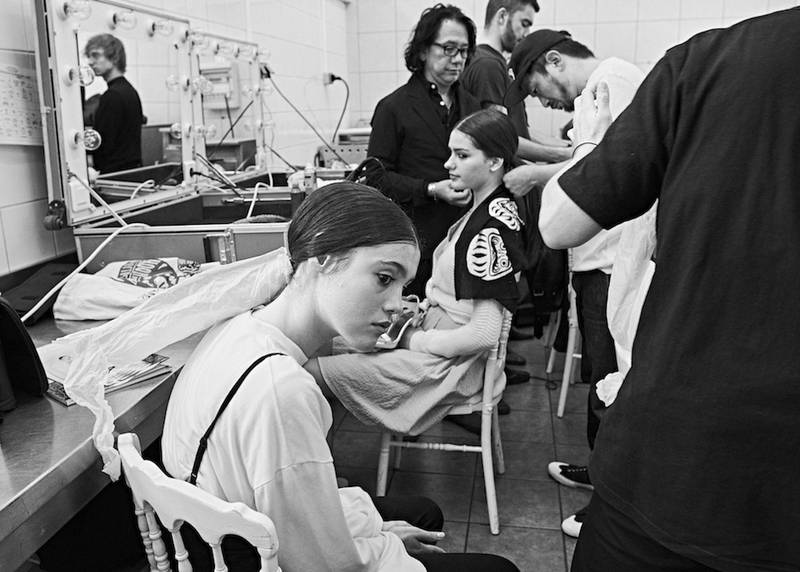 continuing the backstage stories series vol 3, we take another look behind the scenes in Paris, with a look at beauty. A serene mood, modest in look both with hair and makeup. Bold sweeps of eyeshadow accentuated both modern edgy and sparkled silhouettes. Accentuating expressions + individual features of models rather than over the top makeup, with radiant + glowing skin featured. 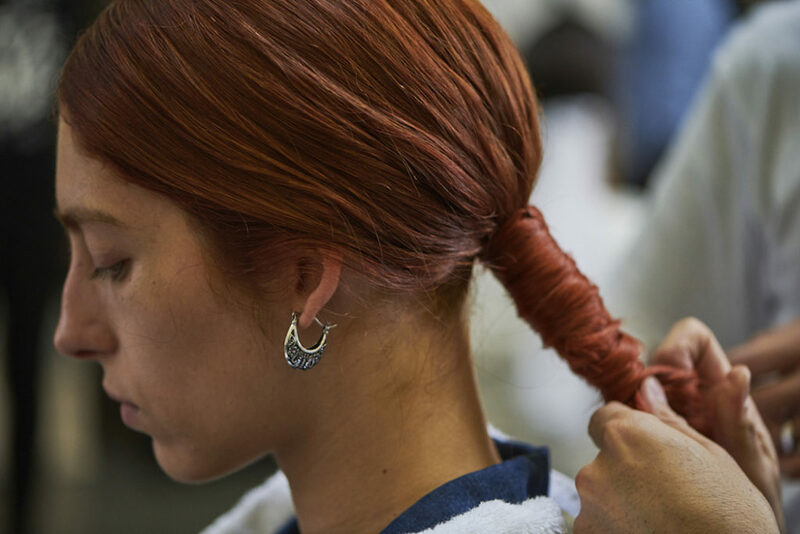 here’s a look at the romantic and beautiful natural looks behind the scenes at young designers: Dara Senders, F. FIDELSKAYA, Fatima Lopes, Gamut Collective, and Jarel Zhang. 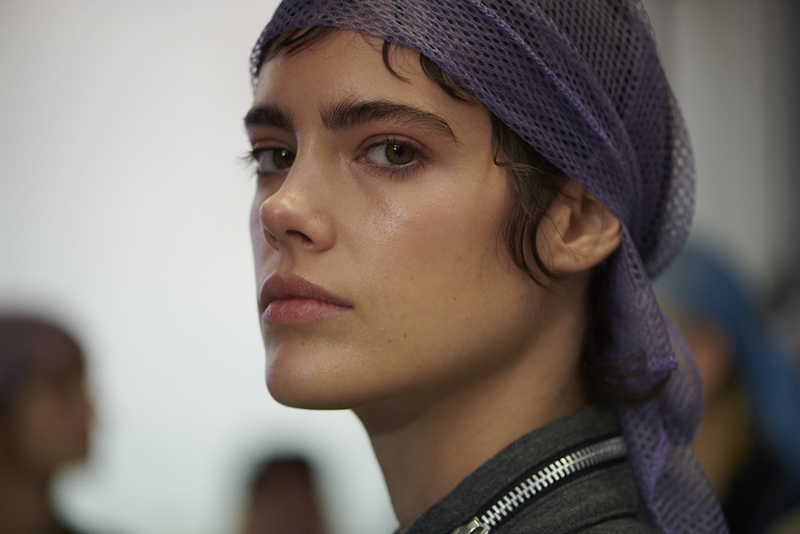 BACKSTAGE STORIES: glowing natural beauty Paris Fashion Week. A FashionDailyMag x PowderRoomGuys collab featuring FATIMA LOPES + F. Fydelskaya + Jarel Zhang + Dara Senders + GAMUT.